On the 24th of June, I decided to design my own style of Detox. My Four week Detox in which I didn’t drink any alcohol, increased my weekly cardio/resistance training and added extra yoga stretches. Good news! I ate bread every morning! 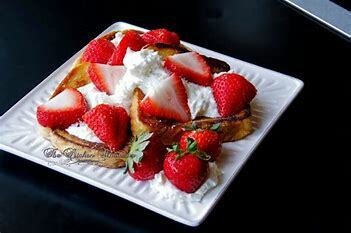 Choose spelt bread, not white bread, for your morning toast with low fat ricotta cheese and slice strawberries. Choose spelt bread, not white bread, for your morning toast or afternoon sandwich, and swap the regular pasta or white rice at dinner for a roll made from whole-grain spelt flour. High-fiber foods like spelt can help you feel fuller longer, leading you to consume fewer calories and possibly lose weight, says the National Institutes of Health. By contrast, the refined carbohydrates in white flour and white rice cause spikes and drops in your blood sugar that can leave you feeling hungry and craving more food. High-fiber foods like spelt can help you feel fuller longer, leading you to consume fewer calories and possibly lose weight, says the National Institutes of Health. By contrast, the refined carbohydrates in white flour and white rice cause spikes and drops in your blood sugar that can leave you feeling hungry and craving more food. My Top Five Tips for my 4 Week Detox. 1.Resreach and find a healthy local bakery that bakes fresh spelt bread. Most mornings have two or one slices of Spelt bread with ricotta cheese topped with strawberries. It’s important not to purchase processed bread from the supermarket. 2. Make the decision not to drink for 4 weeks and stick to it! The first 8 days may be difficult but trust me, once you stop drinking your body and skin will start to look healthier not to mention waking up feeling great and younger. 3. Follow my recipes form my E cookbook Eat your way slim for lunch and dinner. h4. Follow my 5.3.2 training. The program helped me lose bodyfat and increase lean muscle. 2 Pilates/yoga sessions. Down load my program now! Link below. 5. Drink Qi organic white tea instead off coffee and 8 glasses of water per day. Good luck and happy detoxing.